There is very little else to be compared to the rewarding feeling one gets when a start-up business grows and builds up more and more potential. Sadly, a lot of small businesses fail to get enough leverage and eventually fail in their budding years. Shopify.com defines it thus; “E-commerce, also known as electronic commerce, refers to the buying and selling of goods or services using the internet, and the transfer of money and data to execute these transactions. This is the buying and selling of products between retailer and consumers without a middleman. Selling of products in large quantities to a retailer, who then sells directly to customers. This involves a third party who manufactures and ships the product to the customer. Service providers offer skills in exchange for payment. The e-commerce business is quite unlike regular online retail platforms that rely on product sales. Driving traffic to your site is the key to having a successful e-commerce business. Without enough traffic, all of your other work is in vain and your business will almost certainly fold. How can I start an e-commerce business? Choosing a suitable, unique and, memorable name for your business is a key first step in certifying the success of your e-commerce business. First, make sure the name does not belong to some other brand; perform a corporate name search to verify this. Register your chosen name once you verify it belongs to no other. It can be difficult getting a specified expenditure budget for your e-commerce business. The most expensive cost might be your website setup fees. After setting up your website, you will need to pay for web hosting and a domain name. You might need an office (or you could just work from home until you build up), some business furniture and computers. Your total expenditure for the first month might look a little scary but, don’t worry, it is a good investment and pretty soon, those profits will start pouring in. The best thing to do would be to make your website name the same as your business name; however, if this is not possible due to some factors, pick a URL that is easy to remember and can be easily connected with your business. When designing your e-commerce website, no costs should be spared. This might be one of the biggest expenditures for your business but, eventually, what you are looking for is a website that is not only visually appealing but also easy to maneuver and functional. There are 4 options available for business structuring. There’s the sole proprietorship, partnership, LLC and corporation. The IRS automatically considers your business a sole proprietorship if you do not choose a business structure. Operating as a sole proprietor means that the courts can confiscate your property if your business gets sued or is in debt. Registration can be done easily enough, by filling out appropriate paperwork or by hiring a business filing company. Once you have verified and registered your website, it is best to go for the best quality and best-priced products for your platform. There is a lot of competition in the online market business so, shop around early enough and find the right vendors for you. Always think ahead when you are starting a big project, make plans to make the big launch easier and hassle-free. Set up your social media accounts and maybe a blog for your business even before it is up and running. Also, set aside written content to make it easier for when the site is up. You can make use of a ‘coming soon’ software on your website while it’s still under works, which will allow customers to get updates. The software is very important with your business. You have to integrate the right one for your e-commerce business. Find the best customer relationship management, accounting, and email marketing software to keep your business uncomplicated once you launch. Take special care that your inventory is properly stocked up. You might have a warehouse or garage full of products but, make sure that it is absolutely enough to launch. The e-commerce business can be a little tricky, what with not running a physical store, so it gets difficult knowing exactly how much products you will need. Eventually, it is always better to have too many products than too little. With future sales, take note of how products sell so you will stock up accordingly. Once you have everything set and you are certain of a stream of sales, launch your e-commerce business. 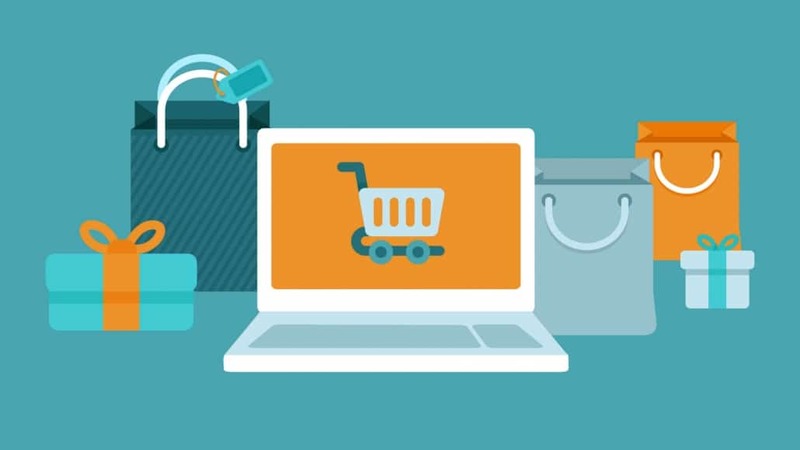 Be sure to keep optimizing your e-commerce market as you go along. You will need to integrate an exceptional customer service/ self-help page to meet your customer’s needs, create limited-time offers and improve your website speed and responsiveness as you go along. E-commerce business might seem quite daunting to begin with a low number of success stories but, that should not deter you. Keynotes to take are that you should start small with your e-commerce business, integrate the best available software to meet your customer’s needs and, invest your funds into an e-commerce marketing plan once you begin to see a substantial profit. I hope this article has helped you in understanding how to start an eCommerce business and has given you the push you need to take one step forward towards meeting your goal.